MIAMI — This is what Ozzie Guillen envisions: a boisterous crowd in a packed stadium and a one-sided outcome that sends spectators home happy. On Friday Guillen was off to Spain to see the bullfights. 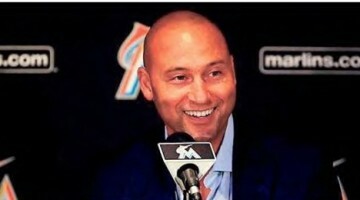 When he returns from vacation with his wife, he will start his new job as manager of the Florida Marlins. Again the idea will be to entertain fans and produce results that keep them coming back. Animated and provocative, Guillen enlivens a franchise that has long been the NL's toughest sell. As he makes headlines, he hopes to make Miami a baseball town. “I want people to be proud to wear the Marlins jersey, for kids to say, ‘I'm a Marlins fan,’” Guillen said. 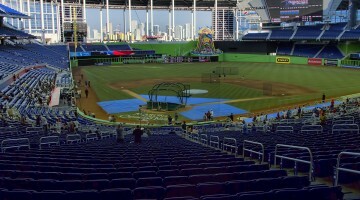 This season the Marlins finished last in the league in attendance for the seventh consecutive year. That's about to change because the franchise moves next year into a new retractable roof ballpark and season-ticket sales ensure big crowds throughout 2012. “Historically, any team going into a new stadium seems to prosper that first year but there are a lot of first-year stadiums that went down the tubes the second year,” outgoing manager Jack McKeon said. That's where Guillen comes in. Last week he left the Chicago White Sox after eight seasons and, 24 hours later, he sealed a four-year deal with the Marlins, where he was a third-base coach for the 2003 World Series championship team. “I feel like I'm back home,” he said. In Chicago, Guillen worked for a team long overshadowed by the Cubs, Bears, Bulls and Blackhawks. He made the White Sox front-page news and led them to the 2005 World Series title. In Miami, LeBron James, Dwyane Wade, Reggie Bush and Brandon Marshall are competition for attention. Guillen said fans shouldn't buy tickets because of him. 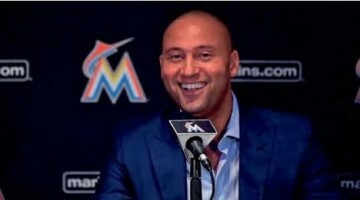 Now that the Marlins have their fourth new manager since early 2010, the goal is to make the team more watchable. This year they were bad and boring: last in the NL East at 72-90, with a .247 batting average that was the lowest in franchise history. In their 19 seasons, the Marlins have reached the postseason only twice, as wild-card teams in 1997 and 2003. Both times they won the World Series. Before the final game of the season on Sept. 28, Guillen paid a visit to the clubhouse scouting for championship material. Not that the roster is bereft of talent. The Marlins believe they can build a winner around a youthful foundation that includes 21-year-old Mike Stanton (34 homers), 24-year-old Logan Morrison (23 homers) and 26-year-old Emilio Bonifacio (.296, 40 steals). The Marlins have never won a division title.